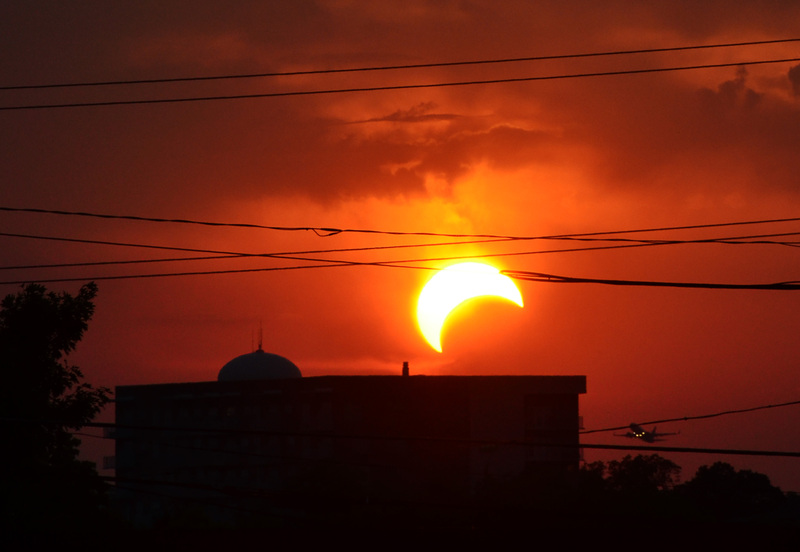 If you didn’t get a chance to see the annular eclipse from where you are, either due to weather or location, here’s a shot of it I managed to grab from Dallas, TX just as the Sun emerged from some low clouds and right before it set beyond the trees.It was visible for perhaps five minutes, but what a great view! The whole net was buzzing with images from all over the world on Sunday evening, and it was fun to be a part of it. After getting the shot I hung out on Google+ with the “Bad Astronomer” Phil Plait, Universe Today’s Fraser Cain, and astronomers Pamela Gay and Nicole Gugliucci, and spent some time just enjoying all the awesome photos that were coming in. For a look at some stunning photos from the eclipse from all over the world, check out this post on Universe Today. Previous Post Watch Tonight’s Eclipse Live!